Random thoughts: Winter is winding down. I know most people in the midwest and east don't agree. But in terms of beer seasons, we're well into spring. 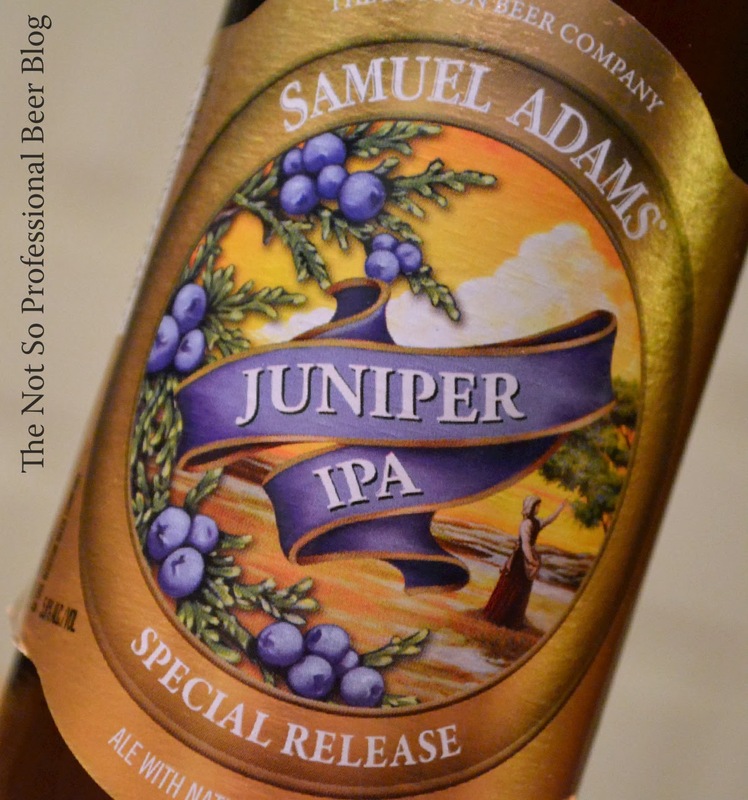 I'm closing out my winter with Juniper IPA, which was released in exclusively in Samuel Adams’ Winter variety pack. I'm tasting it as part of my series on winter seasonals. The tasting: Deep golden orange in color, clear, with an off-white head that dissipates very slowly and leaves lots of sticky lacing on the glass. Aroma of sweet caramel and light evergreen. Taste is similar. It starts with evergreen and pine, with caramel and of biscuit malt emerging in the middle. Hop bitterness is moderate, and alcohol is not noticeable in aroma or flavor. Juniper IPA is medium bodied and moderately carbonated. It has a slightly resinous mouth feel and finishes with a touch of malt sweetness and light herbal hop bitterness. 3 star. Good. I would drink this again if it was given to me. The evergreen flavor of juniper comes through in Juniper IPA. However, many IPAs feature piney hop flavors. So for me, it was hard to distinguish the flavor of the juniper berries from the hops. Regardless, this is a good IPA and a unique addition to Sam Adams’ seasonal variety pack.